Matt Williams played for the San Francisco Giants, Cleveland Indians, and Arizona Diamondbacks, and went to the World Series with each team, winning in 2001 with the Diamondbacks. He is the only player to hit at least one hone run in the World Series for three different MLB teams. The 5-time All-Star is also a 4-time Gold Glove winner and 4-time Silver Slugger. He finished his career with a .268 batting average with 378 home runs and 1,218 RBI. 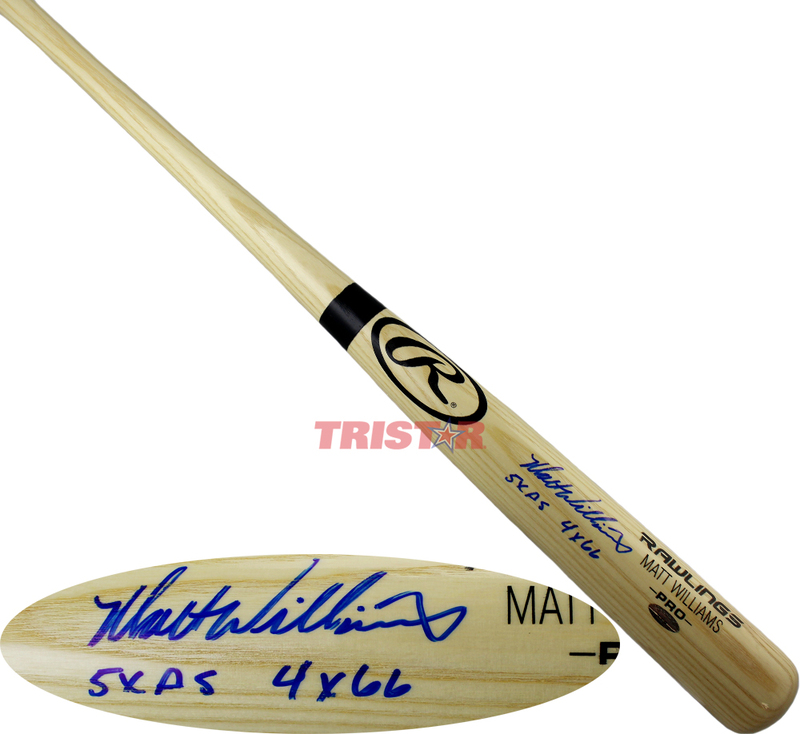 This Rawlings Name Model bat has been hand signed and inscribed "5x AS, 4x GG" by Matt Williams. Each autograph is guaranteed authentic, and includes an individually numbered TRISTAR Authentic hologram.